Below is my story for the writing project. It is the story, basically, that I have told others over the years in order to explain Asperger’s and how it affects Peter; it seems to have worked, as many adults (coaches, teachers, friends’ parents, etc) seem to understand him a bit better, and/or take his humor well. Then in kindergarten, a break through. One morning, Peter insisted on wearing red sweatpants with a green shirt that had a small, black stripe across the chest. His father told him no, it didn’t match. “It does so match,” Peter said. “Red and green don’t match,” his dad argued. “Either wear blue jeans (which to this day Peter refuses because of the way they feel) or change your shirt,” his dad persisted. “Don’t you know what color this is?” Peter yelled, pointing at the stripe. “It’s black.” As if that cleared everything up. His father looked incredulously and threw the pants at him.“Fine, wear whatever the hell you want,” he yelled back, and he stormed out of the room. Then we both smiled. That made all the sense in the world. 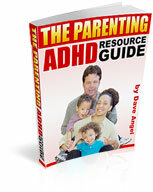 My Son Christopher was in Pre-school when he began to show signs of atypical behavior. He acquired skills like saying the alphabet backwards but couldn’t introduce himself to his peers. He was intrigued by trains. He collected, lined them up and tracked them much of his day. Pre-school was a challenge because Christopher’s social skills were not up to the rest of his peers. He knew the name of every train affiliated with The “Thomas the Train” series. Not only did Christopher have a great deal of difficulty socially, he especially had difficulty parting with his favorite objects. His preferred objects were trains and then eventually gravitated to various other items. Christopher could not articulate his needs and required a great deal of prompting to keep up with the group. Although had various developmental challenges his personality was warm, laid back and his face always had a smile on it. He naturally drew the affection of others by his friendly, welcoming spirit. Everyone that came into contact with Christopher grew to become fond of him because of his sweet disposition. In fact he still bears that likeable disposition. The county that we reside in does not offer many desirable pre-school settings and my husband and I didn’t feel safe utilizing the public schools. We choose to utilize private school due to some of these reasons. Initially we met resistance with getting the support and understanding that is needed to help a child diagnosed with Asperger’s. In the private school we were told early on that our son Christopher could not succeed academically because of his social and emotional deficits. I know now that this feedback was a direct result of a lack of education and awareness regarding Asperger’s. This diagnosis can be misinterpreted as negative and therefore all people see is limitations instead of possibilities. After advocating for the idea of bringing support into the school for my son, the school administration at our local private school reluctantly agreed. The principal even stated “I worked in the public schools therefore I am familiar with wrap around services I don’t think it will work”. As most parents who have children with a diagnosis could identify with “I plowed forward” while encouraging that every avenue of support for my son be given a try. As a parent with a child with a disability that isn’t outward or always able to be seen physically, our advocacy often takes shape of obtaining resources and convincing others to implement them. Shortly after this hurdle, we obtained a Therapeutic support aid to come into the school to work with my son Christopher. Her name was Megan. She was a beautiful college student who immediately bonded with our son. As a result of her support and assistance, Christopher began to develop social and emotional self -help skills. The school and everyone around us got to see firsthand that children with Aspersers can thrive. Educators got to see that children with Asperger’s often learn process and relate to the world around them differently. The key word is differently. Educators got to see that often there strategies and teaching modalities warrant some changes to accommodate the learning styles of their students. This includes the student with Asperger’s. The road we have travelled and continue to travel is one that includes constant advocacy and support. Christopher is now entering 10th grade. He is an excellent basketball player despite early apraxia and gross motor delays. He played for the school basketball team this year which was a dream come true. Christopher’s biggest challenge in basketball is as you may have guessed is “Reading the Cues” of his team mates and integrating his skills as a team player. Christopher’s basketball has been an outlet for him in many ways. He has learned to bond with the team. His social skills have been challenged further and therefore developed. Christopher met the demands of his limitations and sought to develop where his disability causes deficits. Christopher has worked very hard to achieve academic, social and emotional progress. Slowly we have begun the process of passing the baton of advocacy from me as his mother to him as an individual. Christopher is a very likable young man. He could be coined as very shy and socially awkward. Never the less he has achieved friendships. Social situations primarily new ones can be challenging especially as he navigates the adolescent mainstream. We are teaching him to obtain resources and support for these challenges. This year we attended a social skills program at the well-known Kinney center in Philadelphia. Christopher was connected to a college student who taught him all about idioms (something often those Asperger’s have a hard time grasping). We are learning that success to overcome the challenges associated with Asperger’s is often built upon education and relationships. It’s all about reaching pass the gaps and perceived deficits. My son was the first student to receive TSS (Therapeutic Support or also known as wrap around services) in our private school setting. This has opened the door for other students diagnosed with Asperger’s to acquire those same services. The fear has been removed and the misconception that those with Asperger’s need a special setting to thrive has been removed. I have the privilege of hearing my son be complimented for his compassion and kind spirit. Who would have thought someone who is supposed to not be able to recognize or empathize with others would excel past his typical peers in this area. Yes, He is a rule follower and he has difficulty if something new arises and he has a hard time with going into a post office asking for stamps. However, these are skills that can be reinforced. The character and depth of what overcoming the stigma of his diagnosis has instilled in this young man is remarkable. He is an example of not letting limits or diagnosis define you. I smile at our journey and look toward the future of his success. I plan to use his story to encourage and empower others who share the Asperger’s diagnosis. Ericka Potts is the mother of three children ages 15, 12 and 4. Her son Christopher was diagnosed with Asperger’s at age 7. Her youngest son Nathan was diagnosed with Autism at age four. Advocating for and supporting her children have been by far one of the most challenging and rewarding experiences. Ericka is passionate about helping her sons develop and grow in ways that will show the community that those diagnosed with Asperger’s and special needs have great potential. Ericka also believes that children diagnosed with Asperger’s as well as children on the spectrum as a whole are inspirational and have gifts and talents that our communities need. Ericka holds a Bachelor of Social work from Cairn University and a Master degree in Professional Counseling from Liberty University. She is now using her education and experience to participate in research and to support families who have children with special needs. Currently, Ericka is working at a private school as a guidance counselor. Ericka, her husband, Christopher and their 3 boys make their home in Philadelphia PA. It is her desire to increase the awareness of the potential of those diagnosed with Asperger’s and those on the spectrum while supporting families throughout that process. You mentioned that you needed some stories/anecdotes for discussion. My grandson William, now ten, has made great progress over the past year, both academically and socially. We’ve all been daring to congratulate ourselves (and him) and make hesitant suggestions and hopes for the future. It’s as if William’s Asperger’s had receded into the background – not as a thing of the past, but rather, as a condition which was easily manageable. Last Saturday his cousin had a birthday party and William and his sister went along. At first, all appeared well, even though William was reluctant to join in. But fairly quickly I and my son, his dad, noticed that he was beginning to get agitated. He couldn’t settle and started to show signs of distress. He told his dad he wanted to go home. This became more insistent, and loud! He even struck his dad on the arm when it looked like he wasn’t responding quickly enough. There was no reasoning with him. His distress at the noise and the echo factor from the church hall was the trigger. Add to this a lot of excitable children as they danced around in to the music urged on by the hired DJ and you can see the issue. I walked him outside to the carpark but his agitation didn’t let up. He kept yelling for his dad to come and drive him home. (My son was speaking to his daughter and explaining why he had to go). I let him sit in the quiet of my car while we waited, and his boy. cousin came out to keep him company. It was a relief when at last my son arrived and took William home. We all learned lessons from that episode. Firstly, meltdowns can come out of the blue and when you’re least expecting them. And secondly, given all the obvious sensory issues we shouldn’t have been so taken aback. It hadn’t been very clever to expect William to just cope with all the noise and movement that assailed his eyes and ears in this hall. I can report a more positive postscript, however. Later that evening, the family met up at a restaurant in London to celebrate his older sister’s 18th. William had calmed down after a spell of peace and quiet on his own, so he’d enjoyed his meal and the company. He’d particularly loved the journey up town…… By train of course! I was recently reminded of myself and the difficulty of many undiagnosed, or unrealized Asperger’s mothers. Well-meaning people can talk to us ‘blue in the face’ and we don’t get what they are trying to advise us about the management of our children. In a rural school, I noticed a five year old boy showed the signs of Asperger’s, and as a training teacher I was to observe. I told the principal he had Asperger’s. She commented on talking to the mother towards her behaviour to her children. The principal rejected the Asperger’s idea saying to me, ‘What can we do about it! They grow out of it anyway.’ This attitude disturbed me, but I left it. It annoyed her so much that she screamed at me over another imaginary offense early afternoon. She never apologized. I had rattled her conscience. Later that week, I had the chance to see and hear the boy’s mother and ping, this mother spoke like me. I looked up. It all fell into place. This poor mother had no idea she had Asperger’s running through her family. She was struggling and didn’t understand the problems in herself or her two boys. I saw why the principal and teacher called her crazy. She couldn’t understand their communication, and they didn’t put themselves in her shoes. A question I had to ask within my observation was, ‘Do you have any special needs children in this school?’ The principal’s answer was, ‘All our children have special needs.’ Then laughter. This school had no intention of being educated on Asperger’s and this mother and her boy would be left further in confusion suffering undue stress. I understood why my past was what it was. Since I was a training teacher (I am nearly 60) with no sense! I was professionally unable to do anything about advising the mother and getting help for the small boy. This family will be subjected to so much pain and the resulting problems this young man will suffer unless I can see him somewhere else, or send the mother some material on Asperger’s families anonymously. Interestingly enough I began to speak social skills to this child so he had a link to understanding and research when he was older. I noticed he got into misunderstandings in playtime. He would copy others and find out he did it wrong and got punished, left out, solitary, made to feel ashamed and generally unhelped. He had other physical problems with eating tidily and made to feel ashamed. His hand control for writing was scrawly. I would go over to him, stand behind him and hold his hand – he never complained. This child knew I understood him. I took time out to another school and noted the teacher has grips on pencils and pens. What a difference between the two schools. This rural school’s principal didn’t understand me, she rejected any good I did, but that child had one full day where his name didn’t appear on the problem board. His mother has no understanding of the troubles he encounters; she doesn’t understand the condition. She is informationally blind and will be ashamed and powerless. Family Asperger’s has been around since my grandmother to my grandchildren. The 12 step program teaches show me don’t tell me. This style has been more useful for me in growing. Carol Gray stories, show to our Asperger’s children. For my communication abilities it is useful. Especially in the early days of diagnosis. To all the undiagnosed mothers, I hope those of us who are diagnosed and understand will spread this message to others. There are many Aspie girls who are now mothers struggling with Asperger’s children. Be the mentor to other Aspie mothers who are just learning to understand themselves. Our common welfare must come first to be of use to our aspie children. Then I can pass on the understanding. Good wishes for understanding and application. Michelle Daley diagnosed 2007 at 52yo.